St. Catharines Mazda | Why Buy Winter Tires? Home > Headlines > News > Why Buy Winter Tires? Winter is right around the corner, which means you're likely to experience bad weather and cold temperatures as well. That's why St. Catharines Mazda thinks you should consider buying winter tires. Offering added grip, durability, and resilience to the cold, winter tires are ideal for any driver whose future involves facing the elements. Read on to learn more about winter tires. One of the most obvious reasons to buy winter tires is for the added grip. These tires come with deeper treads in special patterns in order to give you added grip on icy and wet surfaces. While all-season tires work in all weather, they are mediocre when it comes to winter conditions like snow, sleet, and ice. Few people realize that winter tires are parts made with special rubber compounds in order to endure cold temperatures as well. Summer tires, for example, can get stiff and crack in especially cold weather-getting winter tires will ensure your tires are always in top shape. Winter tires also come with added channels in the tread design that divert water. Melting snow and rain can make the asphalt especially wet, leading to hydroplaning. The channels found in most winter tires prevent water from forming in sheets between the rubber and the road. In the long run, you may even save money by getting winter tires. Winter tires are specially designed for winter conditions, so they tend to hold up better in this weather than all-season tires. The same applies to summer tires-these work better in hot weather than all-season tires. Though all-season tires are convenient, they don't always last as long as two sets of specialized tires. If you're willing to change out tires, you could save. These are the many reasons to consider buying winter tires this year. 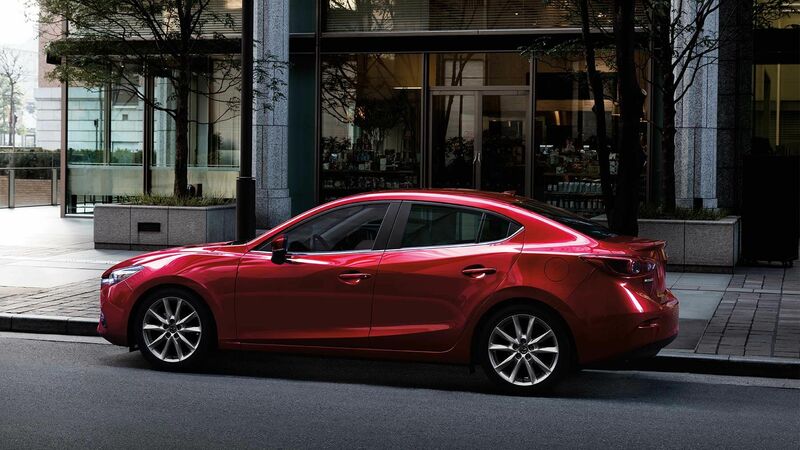 Here at St. Catharines Mazda, we have a range of options to choose from, and a staff of specialists dedicated to helping you to find everything you need. If you would like more information on winter tires, stop by today.